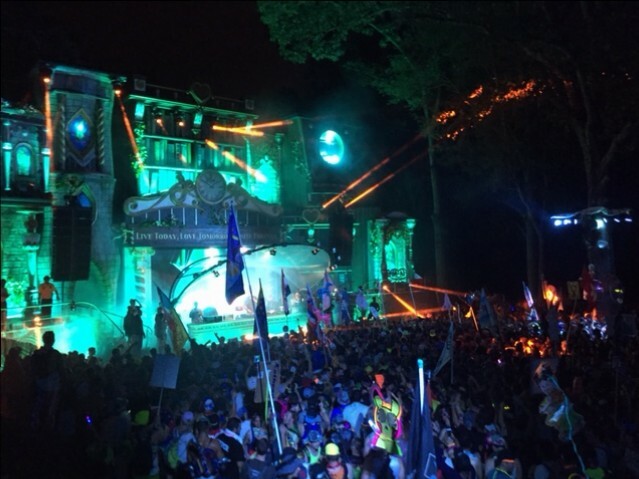 Back during the summer, there was this little festival called “TomorrowWorld” that happens outside of Atlanta. People come from all over to jam out for a weekend at these amazing stages with some of the biggest names on the scene. I’ve always thought it’d be cool to go, and I got my chance this past August. Shaq, or DJ Diesel, was playing a set that night and I went to shoot with NBAtv. When we first got there it was just a bunch of fields and I couldn’t really see where any of the action was. Our taxi was taking us down a dirt road towards a parking lot (cow field) but unfortunately, the taxi could only take us so far and we ended up walking about a mile — with all of our gear — back to the TV compound. It was this walk where the massive main stage was revealed. It had moving gears and animated faces along with lights and smoke. The sheer size of it was incredible – it gave me the same feeling as when I saw my first cruise ship (it wasn’t as big as a ship, but my reaction was still, “duuuuudeee”). It had been raining and the whole place was pretty much a mud pit so I was glad I wore my boots. 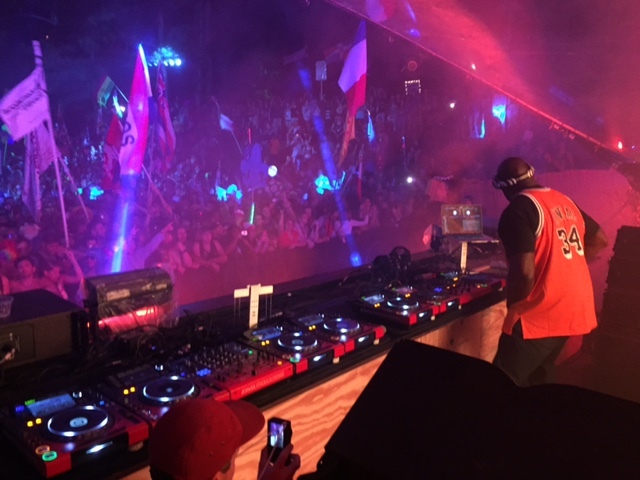 We sloshed back to the Trap Stage where DJ Diesel would be playing his set. This stage was also huge and really and an incredible sight. 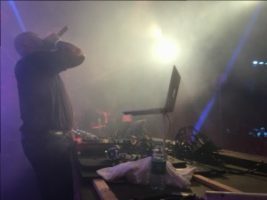 I followed Shaq up on stage and he began his set. There was smoke, lasers, LOUD music and people jamming out. I got some shots of him jumping around by the tables then headed to the crowds. I jumped off the stage right in front of the speakers. I’m not sure how many people have stood right beside a speaker stack at an EDM show, but it felt like the sound was going through my body. The set was awesome and I had a ton of fun shooting it. We headed back to what they call “The Mansion” (where DJs hang out) to get a one-on-one with DJ Diesel. I set it up in record time, as he had places to be, and we locked it down. He came over, goofed around with my sound guy, and gave some good sound. Then we packed up our gear and decided to grab more b-roll and headed to the main stage. I needed to get people dancing from inside the crowd, so I grabbed my 5D and shoved my way in. I should have known that was a bad idea as soon as I got in the crowd… I got pretty much exactly in the middle and the music stopped and the DJ started talking for like 10 minutes. I’m just standing in a pit of sweaty people who are all just looking around waiting to dance again. The DJ rambled on for an eternity as I pushed my way out of the crowd. I decided to stay on the outskirts and get what I needed from there. It was a great and muddy experience and I had an awesome time — and the piece came out great too.